Heating and cooling aren’t something that we typically think about on a daily basis. But when your heater goes out in the middle of a frigid winter, you may be contacting your local HVAC technician to come and fix it for you. That HVAC technician could be you! You could be the knight in shining armor, coming to rescue the scorching hot people in the summer when the AC unit dies. Don’t you want to feel that special? If you do, keep reading, because I’m about to tell you all about how to become an HVAC technician. HVAC technicians install and repair heating and cooling devices, whether that be heaters, air conditioners, or refrigeration units. If it’s supposed to keep something hot or cold, typically an HVAC technician can fix it. These technicians can work in construction, residential, or commercial areas, where they connect wires, weld pipes, and test electrical circuits. There is a potential risk at every job site, so HVAC technicians must be thorough and focused every day. Every state has different salary ranges per year for HVAC technicians, so depending on where you plan to work, you could make more money than the state next door. An HVAC mechanic just starting out in the business will make around $40,000 a year, but once you get more experience, education, and certification, you can make more than $52,000. The average salary for an HVAC technician as of 2019 is $46,000, which isn’t too shabby. The skills needed for this profession can include chemistry, physics, as well as other physical science, so you should get your education and finish those much-needed courses. After you have your diploma, it’s time to find a program in your area. There are different types of HVAC programs available, it all depends on what you are looking for, and how much time you want to spend in school. These programs can range from 6 months to 4 years, whether you get a certificate, an associates degree, or a bachelors degree. How excited are you to get into the field? No matter which course you take, you’re going to need hands on experience to work as an HVAC Tech. This is optional, additional training that an HVAC tech can do. You’ll need 2,000 hours annually in this program, which is easy to do if you get a job right out of college or out of the training program. This way, you can get even more education while also doing on the job training. After you do all your course work and graduate, you’ll be on your way to employment. This doesn’t mean you’re a certified HVAC technician yet, as that will come later, when you have the skills. Until then, keep working toward your goal, and soon you’ll be able to pass the test. There are several standardized tests that you can take across the US to become a professional certified technician. 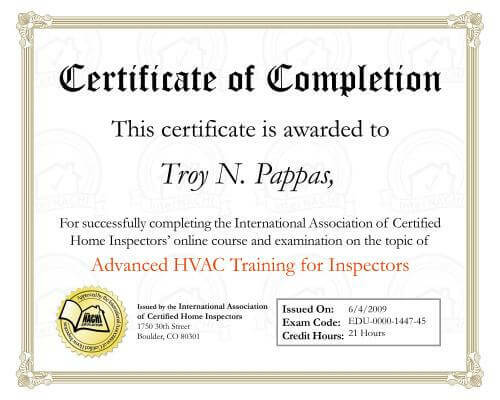 There are tons of specific certifications, like HVAC performance verifying or HVAC efficiency analyst, or you can go for a broader spectrum like air conditioning, basic refrigeration or charging procedures. You have an option of which path to take in your quest to become an HVAC technician. You can either obtain your certificate, which takes as little as 6 months, or go for the long stretch and get either your associates or bachelors degree. While the last two may take longer, you will gain much more knowledge and even get educated on different areas. Even if it is optional to get certified in HVAC, it shows prospective employers that you are serious about the position. HVAC Excellence is an organization that provide the HEAT (Heating, electrical, air conditioning technology) and HEAT Plus certifications. North American Technician Excellence provides a basic exam with specifications in air conditioning, air distribution, oil and gas heating, hydronics gas and oils, as well as commercial refrigeration. The Refrigeration Service Engineers Society offers a mandatory EPA Section 08 exam, as well as specialized certifications. Find your local exam site online. The job of an HVAC technician can be rewarding because of the ability to travel different places, meet new people, and learn exciting new techniques. With that being said, the need for HVAC technicians is on the rise in the US, due to new homes and businesses going up every single day. The next ten years for this field look outstanding. That's a higher than average projected growth of 48,800 jobs. Should You Become an HVAC Technician? There is a high opportunity for advancement within this career. You can even become your own boss, which means you can make your own schedule. The stability of this job is wonderful, the employment runs throughout the year because of different heating and cooling issues per season. The job is needed everywhere in the country. The median pay for an HVAC technician is around $46,000, those that are certified in specific areas can make more. Employees in the heating and cooling industry can expect to see a growth of around 14% until the year 2026. There will be plenty of residential and commercial construction that will drive the employment rate up. An HVAC technician that takes more time to get an education will have quite a lot of success in the business. Though, it is possible to have a wonderful career with a certificate. Achieving an associates or bachelors degree will allow more advancement, but can take longer, up to four years. Q. 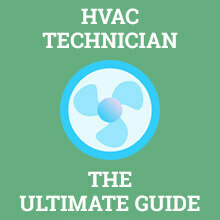 What Is the Average Salary for an HVAC Technician? The average salary for an HVAC technician is around $46,000, but this varies by state, as well as the company that you work for. Q. How Long Does It Take to Become an HVAC Technician? Whether you want a certificate, or a bachelors degree will depend on how much time you spend in school. It could be 6 months (certificate) or up to 4 years (bachelors degree). Many people earn an associates degree, which takes about 2 years. Q. What Does an HVAC Technician Do? An HVAC technician works with heating and cooling units to ensure the proper temperature of buildings and refrigeration units. Q. What Is the Demand for HVAC Technicians? HVAC technicians are in high demand, we lean on our HVAC technicians to maintain our level of comfort, after all. Q. How Much Does It Cost to Become an HVAC Technician? It can cost between $15,000 and $30,000, depending on the type of schooling you acquire. Those who wish to acquire a bachelors or associates degree will pay more than someone who wants to obtain a certificate.